THE FACTS – Last January 29th the website of Las 17 was subjected to a cyber attack when the portal was deactivated by unknown users. Las17 is a platform for struggling against the crminalization and confinement of women in conditions of vulnerability in El Salvador who have been unjustly imprisoned due to obstetric complications and sentenced to as many as 40 years in prison. 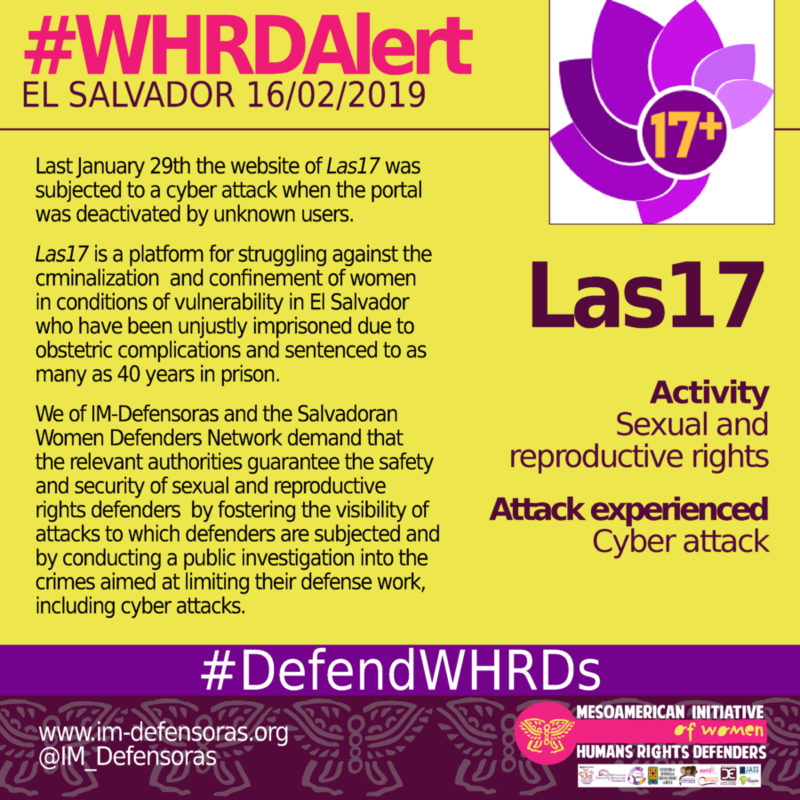 We of IM-Defensoras and the Salvadoran Women Defenders Network demand that the relevant authorities guarantee the safety and security of sexual and reproductive rights defenders by fostering the visibility of attacks to which defenders are subjected and by conducting a public investigation into the crimes aimed at limiting their defense work, including cyber attacks.